Pipcorn was founded by brother and sister team, Jeff & Jen Martin, and Jeff's wife, Teresa Tsou. The Pipcorn seed was planted when Jeff was helping Jen move apartments in the spring of 2010. In desperate need of a snack, Jen remembered these special little kernels that she had gotten a few days earlier. Five minutes later, they were snacking on the best popcorn they had ever had. Together with Jeff's wife Teresa, Pipsnacks was started! 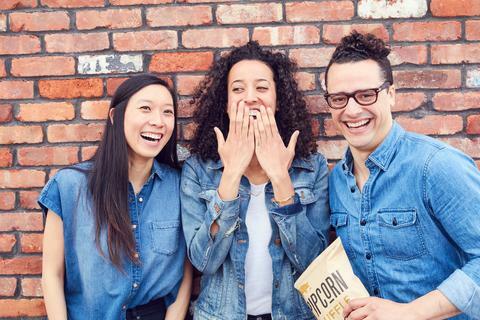 Pipcorn is gluten-free, non-GMO, vegan, and whole grain.